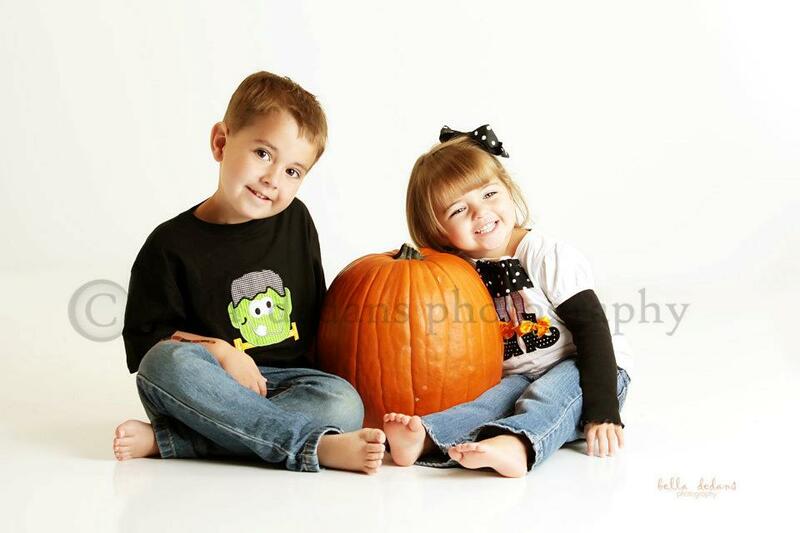 Those are my Halloween cuties! 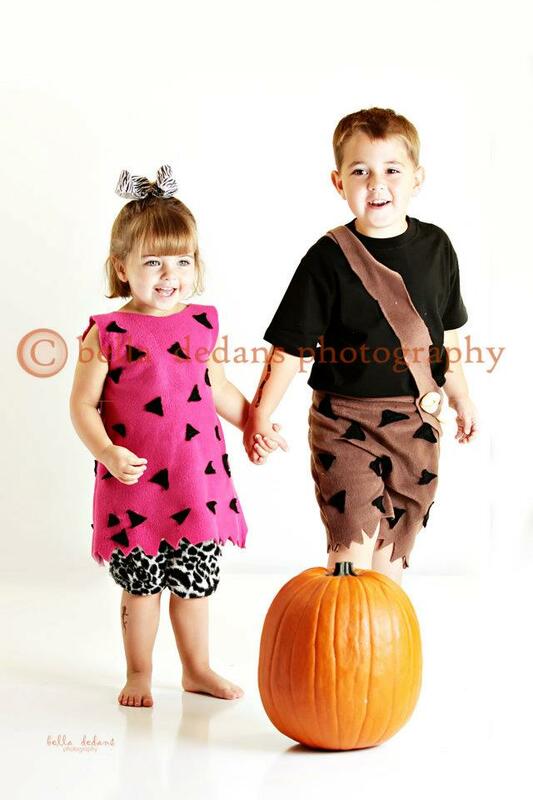 Here they are as Pebbles and Bam Bam! If you feel so inclined Click here and "Like" their picture on facebook so I can win a free print because you know how expensive those can be! Don't get me wrong I LOVE the photographer, but pictures are just pricey! I will be back refreshed and ready to go in about a week! Not too "fun" of a post title... but really, I do have some fun things to share! Nash started school this year. Totally the teacher in me, but I wanted to send something cute for his snack (and sugar free according to school rules). He chose Ants on a Log after seeing a picture I showed him. 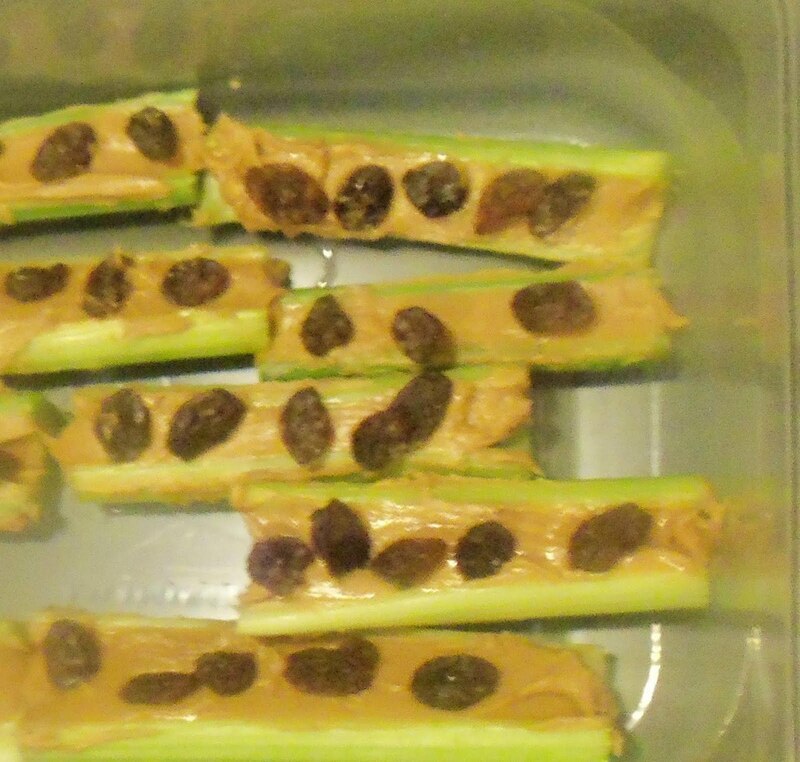 So you other crazy mommies will understand this-- I was up at 5:00 a.m. spreading peanut butter and sprinkling raisins so that his snack would not only be adorable, but fresh as well! Wait- we aren't finished yet ladies (because, let's be honest, the only males that I know of that read this blog are my dad and my 23-year-old baby brother). 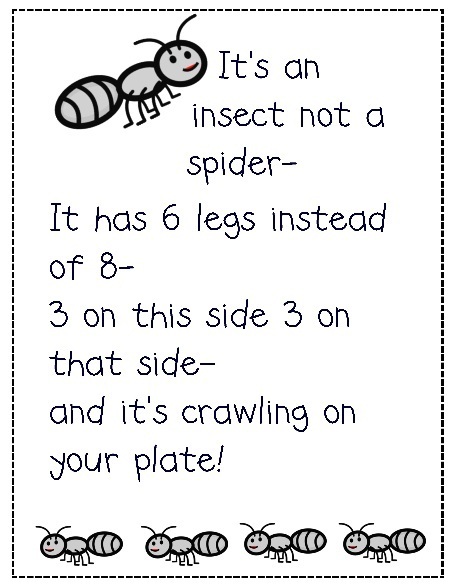 I made this little sheet for his teacher to read to them while they were eating! 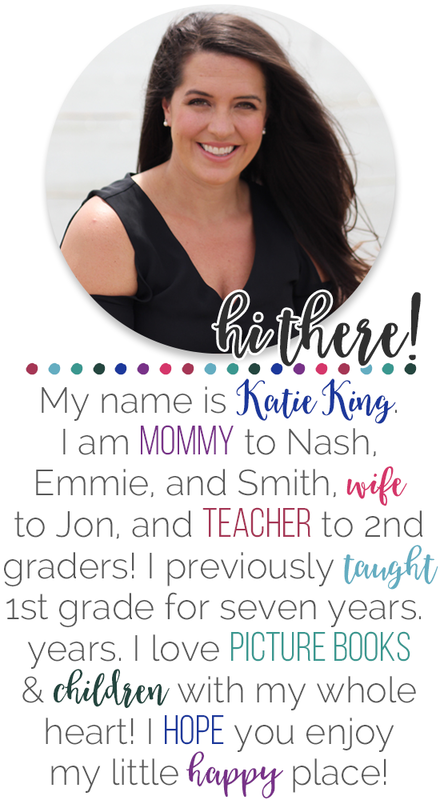 If you would also like to reserve your spot for the "mother of the year" award, you can download HERE! This is also completely random, but when we were studying the water cycle last week,we played this really fun game that I wanted to share with you all. I found the game on Activity Mom. This is the blog where I also found my evaporation activity from last week. 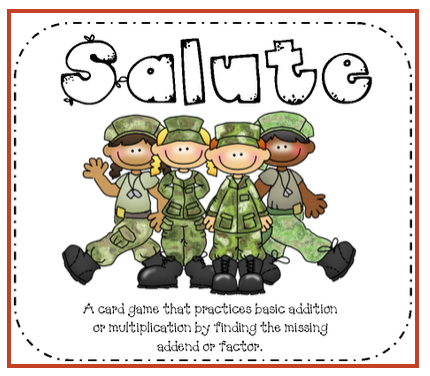 The idea of the game is that the kids roll the dice and find out how they are supposed to try and "melt the ice cube." One of the options is actually to put the ice cube down your shirt for 10 seconds. Haha, can you imagine how loud my class was :) Although the game was incredibly fun, we also had amazing discussions about why our bodies helped melt the ice. We also talked about how snow and ice are a part of the Water Cycle. If you would like to download this document you can go HERE. And last, but definitely not least, here is my new way of keeping track of birthdays! Really, it is the oh-so-creative Erica Bohrer's idea! I saw her great idea and had to make my own! My kids LOVE how it is their pictures on the board! 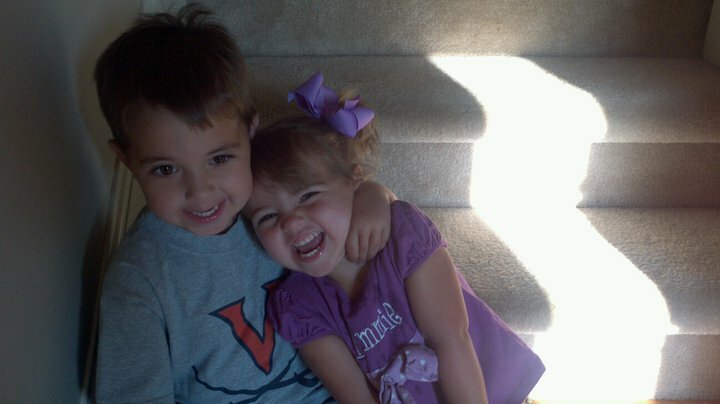 They are the cutest! I just wish I had a creative idea to put above the months without birthdays. I am thinking of putting pictures of some famous authors that have birthdays in those months. What do you think? ...and no, it's not mine! I am sitting here listening to some Darius Rucker, missing the beach like crazy (no worries- Fall Break starts on Saturday), and looking through this fantastic classroom. The learning space of my dreams belongs to Jessica at Dandelions and Dragonflies. Jessica has one of the most organized and visually appealing classrooms I have ever seen. I have been secretly stalking her blog for awhile now and just started commenting a couple of weeks ago. It all started when I saw her tutorial for magnetic gem stones! I was hooked the minute I saw the glass stone magnets! I haven't *exactly* made mine yet--I have the stones, the paper that I want, the magnets--I just can't seem to find a circle punch grrr....too bad my Hobby Lobby is 45 minutes away! I can't wait use these in my room. Find this great game here! But really the reason I have you here tonight is that Jessica is letting me take you on a tour of her new classroom that she just moved into this year! I love the consistent use of black, white, and red throughout the whole room. I also love how the bulletin boards are all different but coordinate. I am literally drooling over those shelves at the end of her tables. I hate wasted time when kids have to go get things and I bet these are a great time-saver! Not to mention beautifully organized. Why haven't I thought of hanging up buckets before!?! So genius, yet so simple! A little bit of ribbon and spray paint ALWAYS make for a good project!